Typically found on the face and legs, spider veins are small, branching blood vessels that are visible through the skin. Caused by many factors, like age and genetics, spider veins can be blue, purple, and red, which makes them difficult to hide. Since these veins usually get worse over time and gain more visibility, it's smart to seek treatment when they first appear. To minimize the look of spider veins on the face and body, as well as vascular lesions, like wine port stains, broken vessels and capillaries, redness of the skin, and rosacea, Pura Vida Body & Mind Spa offers vascular lesion correction for women and men. In your private consultation, we will develop a personalized plan based on your unique needs and goals for your treatment. 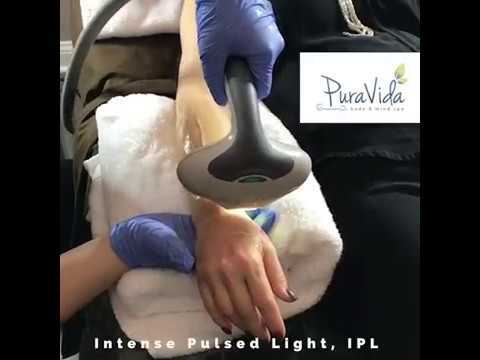 Vascular lesion correction at Pura Vida can help the visibility of small to medium-sized blood vessels, as well as other vascular lesions (port wine stains, rosacea, broken blood vessels, chronic redness) that are on the face and body. Vascular lesions, like spider veins, are not usually a medical problem, but they are considered unwanted. Many people avoid certain clothing (like shorts and swimsuits) or use heavy amounts of makeup to try to mask these vascular lesions. Vascular lesion correction is great for patients who are in good overall health, do not have a history of blood clots, and are not pregnant. Vascular lesion correction treatments are done in our office as an outpatient procedure in about 20 – 40 minutes, depending on the size and number of areas treated. During your procedure, you will lay comfortably in a private treatment room as the area being treated is prepared. If requested, a topical anesthetic can be applied before your session to minimize any potential discomfort. 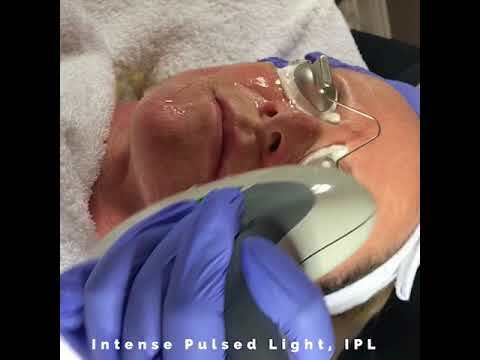 The Cutera LimeLight laser is passed over the area so the energy can target the vascular lesion through a series of pulses that don't affect the skin. The blood vessel or lesion takes in the laser energy, which collapses the wall of the vessel. You will be able to leave our office as soon as you feel comfortable to resume your normal day. Following your vascular lesion correction treatment, you may have redness, swelling, and bruising, but these symptoms should disappear in about 7 – 10 days. For quicker healing, support or compression garments can be worn to increase blood circulation. It's important to avoid prolonged sun exposure and you should apply sunscreen frequently to areas that have been treated. Several patients see visible improvements quickly, but the timing of results will vary in each patient. At your initial consultation at Pura Vida, reasonable expectations will be discussed along with recommendations on how many sessions may be needed to reach your best results. Other vascular lesions will probably appear over time so touch-up sessions may be needed every few years. Instead of concealing or covering unattractive spider veins and other vascular lesions on your body or face, consider nonsurgical laser treatments at Pura Vida in Jacksonville, FL to improve the appearance of your skin. At your consultation, we can assess your skin and develop a custom treatment plan to best fit your goals.